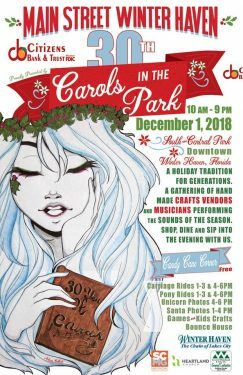 Main Street Winter Haven is thrilled to announce our 30th Annual Carols in the Park presented by Citizens Bank and Trust! For thirty years, artisans, specialty food vendors, and local choral groups have gathered in Downtown Winter Haven’s Central Park to kick off the holiday season. This event has become a tradition for multiple generations, with a special Candy Cane Corner for children of all ages! Kids will enjoy FREE pictures with Santa Claus, a take-home holiday craft, and a bounce house…among other fun activities! 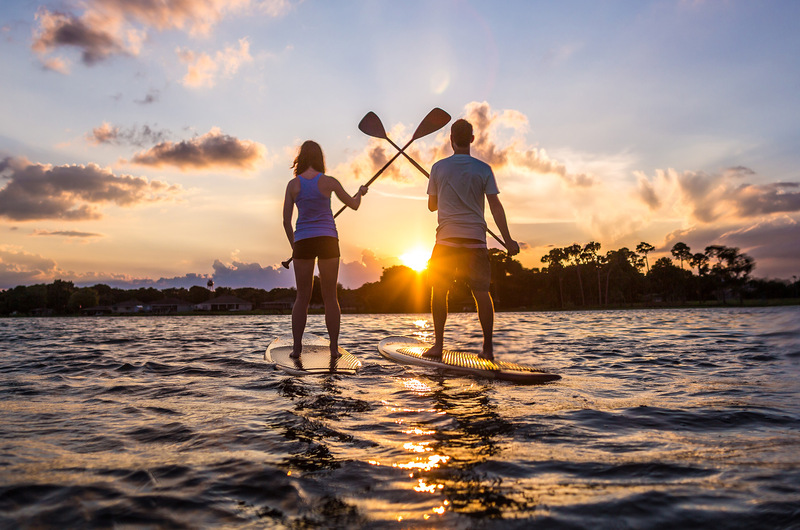 This year’s event is not only a celebration of our 30 year tradition, we will also be utilizing Winter Haven’s brand new, state-of-the-art South Central Park! Main Street Winter Haven has long awaited this multi-use space with dynamic lighting, the flexibility to accommodate more vendors and better flow for foot traffic. Not only will our 30th Annual Carols in the Park have a new home, the event will become a single day festival with hours from 10 AM – 9 PM. In keeping with tradition, Carols will remain on the first Saturday in December. The new event hours are designed to accommodate downtown’s day and evening visitors. We will be able to create a uniquely magical holiday shopping experience with the new locations festive lighting. If you have any questions, please give us a call at 863.295.9422, or email us at carolsintheparkwh@gmail.com.